Our Teaze Infuser is an elegant new way to steep tea by the cup. Simply add tea leaves and hot water to the Teaze. 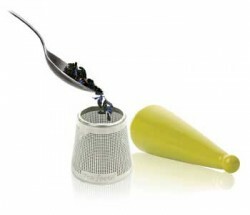 When your tea is ready, place the infuser over the cup and the Teaze automatically dispenses filtered tea into your cup. 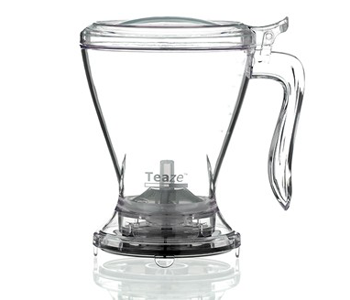 Our Teaze Infuser is an elegant new way to steep tea by the cup. Simply add tea leaves and hot water to the Teaze. 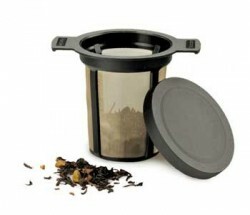 When your tea is ready, place the infuser over the cup and the Teaze automatically dispenses filtered tea into your cup. Great for both hot and iced tea!